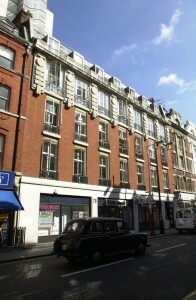 All of our courses are taught at our central London campus in Mortimer Street or in University of London premises. Students benefit from associate student membership at the University of London, giving them access to restaurants, bars, dining areas and snack bars as well as recreational facilities such as the swimming pool, gym and sports facilities. Information technology facilities are also available within the University library and a computer network with the most up-to-date software is available at our own campus. The world-famous British Library is only minutes away. Student life at the College is diverse and exciting. We have a cosmopolitan faculty and the student body is international with students coming from throughout Europe, as well as further afield.. The College’s administration building and teaching campus enjoy a prime location in the centre of a world-leading capital city.